Since hitting near decade highs in March, cobalt prices are down by more than a third, languishing in the low $50,000s. Now a new report sees the battery raw material recovering some 30% in price. And quickly. While a change in subsidies in China, responsible for half the world's EV sales, hasn't helped, it's mainly new supply from the Democratic Republic of the Congo (DRC) that has depressed the price. Glencore's announcement that exports of cobalt hydroxide from its Katanga copper-cobalt mine in the DRC have been halted due to high levels of uranium will see prices hit $70,000 a tonne by the middle of next year, the Capital Economics report forecasts. Given this development, we are raising our short-term projection for the price of cobalt as we now believe the market to be tighter until the middle of next year than we had anticipated. Thereafter, we think that prices will remain volatile but they may well average around this level over the next twelve months as the backlog of production is sold, absorbing a sizeable portion of growing global demand over that period. Capital Economics expects cobalt prices to strengthen further, reaching $80,000 by end 2020, largely thanks to battery demand. Glencore idled Katanga in 2015 for an extensive refurbishment and only restarted operations earlier this year. This year, to date Glencore has produced 25,700 tonnes from its DRC mines. In July, Glencore said it expected to achieve an annual rate of production of 40,000 tonnes by the end of the first quarter next year. That number represents a third of total global output. Cobalt sulphate (the refined form commonly used in the battery supply chain) prices in China have fallen six months in a row and are trading at the lowest level since mid-2017, according to assessments by Benchmark Minerals, a battery supply chain data provider. Caspar Rawles, an analyst at Benchmark, in an interview with Bloomberg characterized the timing of the Katanga announcement as "opportunistic" because Glencore is currently negotiating 2019 supply deals. The DRC, which is currently in the midst of a contentious election and in the grip of an ebola outbreak, produces more than 60% of the world's cobalt, a share that's set to grow over the next five years. 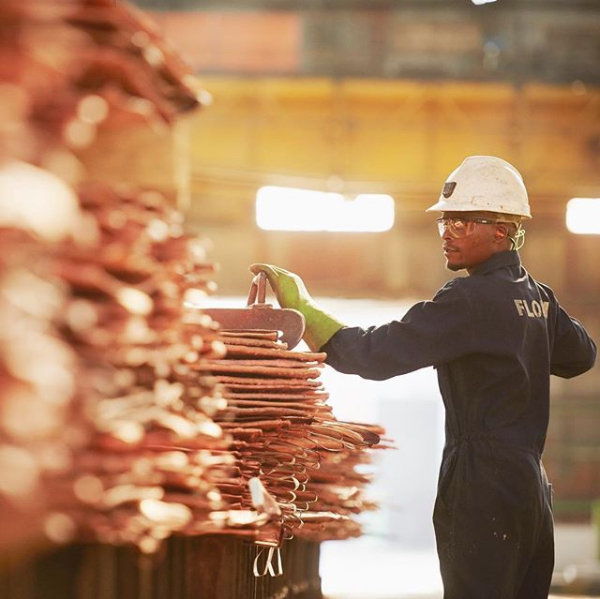 The central African country also holds half the world’s reserves of cobalt, which is almost always mined as a by-product of copper and nickel.